Original Gardner-Pingree house photo via Wikimedia/Creative Commons, Brookline replica via Historic Homes, Inc. In 1804, renowned architect Samuel McIntire finished the Gardner-Pingree House, a Federal-style mansion in Salem with stately curb appeal. The historical home, which has since been converted into a museum, is one of the most well-known architectural masterpieces in town. It marvels visitors with its elliptical portico, keystone lintels, and ornate interior woodwork. In 1992, almost two centuries later, a near-exact replica of the Salem house was constructed in Brookline. This imitation at 60 Cramond Road is now for sale with a price tag of $16 million. Though the home only has two floors instead of the original’s three floors, it shares the portico and its Corinthian columns, as well as its double parlor, carved mantels, and decorative moldings. But how much might the same building cost in two different towns? That’s what Constantine Valhouli, the director of research for a real estate data analysis company called NeighborhoodX, set out to calculate. “This is a rare chance to not just compare square footage across Brookline and Salem, but to literally compare how the same building changes price in different locations,” Valhouli says. 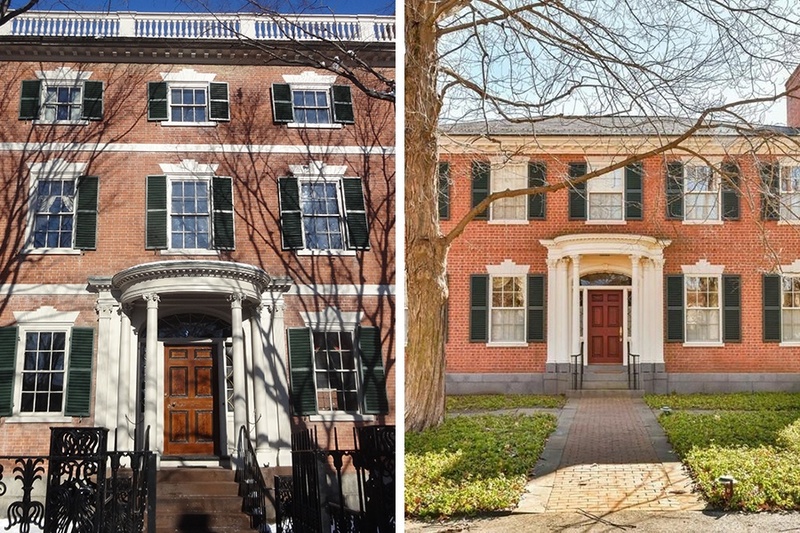 Of course, Samuel McIntire’s original Gardner-Pingree house is not for sale. But by looking at the average asking price in Salem—which is about $258 per square foot—Valhouli estimates the 13,000-square-foot mansion could fetch $3.35 million. Even if it commanded the top price per square foot in town, it would ask about $5.9 million. Brookline’s duplicate, meanwhile, asks $16 million for 9,773 square feet. (It is, however, set on two manicured acres and offers a two-bedroom in-law suite.) That’s a price tag of $1,637 per square foot, making the house one of the most expensive in Brookline. The average asking price in Brookline is $668 per square foot, Valhouli notes. The price breakdown shows a difference of about $12.6 million between the two homes, with the replica asking considerably more. So how can a National Historic Landmark in one of New England’s most charming coastal towns compete with a remake? It comes down to property values—and location, location, location.